After weeks of nervous anticipation, our gorgeous girls have started to lay! I have been trying to manage my own expectations, and not get too anxious. We had been warned that, although our chickens could start laying as early as 22 weeks, they could also be anything up to a year old before we saw our first egg. Even so, I couldn’t quite stop myself from regularly checking the potato patch (they like resting under the plants when it’s hot!) and some of their other favourite spots around the field, just in case they hadn’t sussed out what the nestboxes were for. 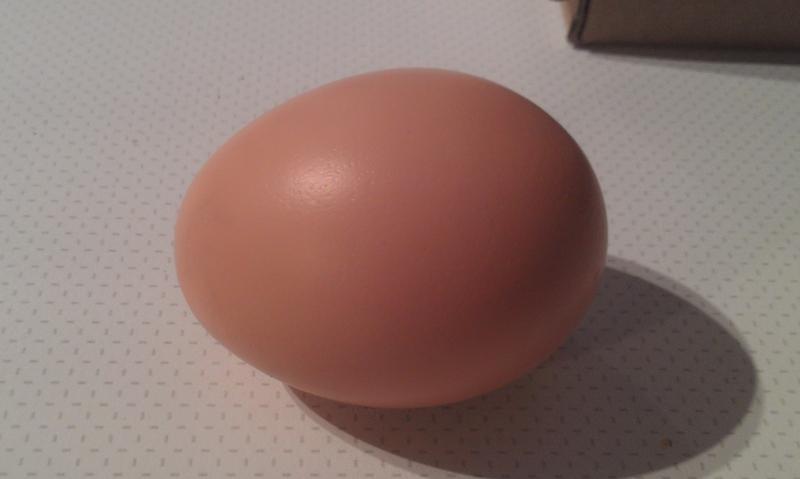 Saturday, there was our very first egg. Egg-cited doesn’t even begin to cover it! Funny – it’s hardly a walking-on-water-style miracle ; it’s a completely normal, everyday event that, despite being an enthusiastic eater of eggs, I’ve never given a moment’s thought to before. But I just can’t help it, I feel strangely proud of our little flock! Since that first one, they have delivered every day, and we have had another five eggs to add to the collection. They are tiny at the moment – beautifully formed of course! 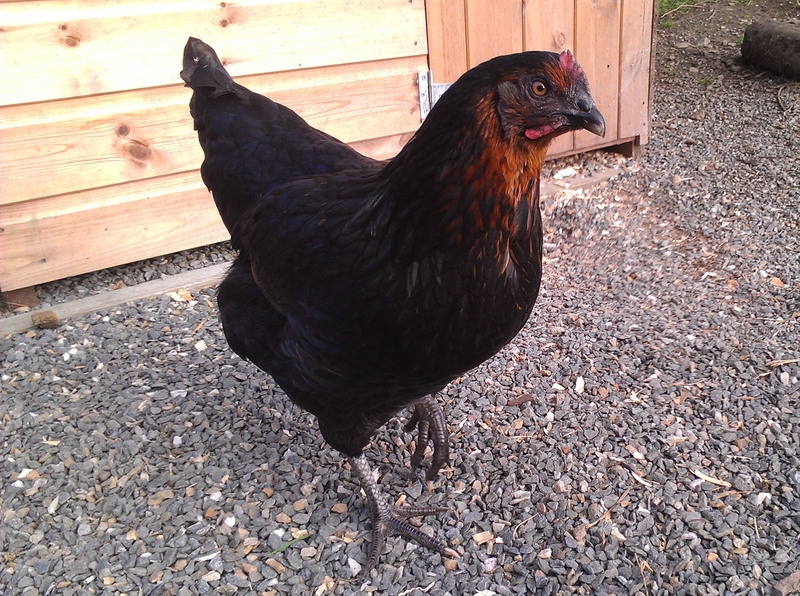 – but they should increase in size over the next few weeks as the chickens reach maturity. And, by the way, the taste didn’t disappoint either! This entry was posted in Animal magic, Food and drink and tagged Accommodation, Argyll, B&B, Bed and Breakfast, Chickens, Food and drink, Places to stay, Scotland, Strachur. Bookmark the permalink. 6 Responses to Egg-tastic! Small, but perfectly formed. Eggsactly,Eggciting your faith is eggsonerated! 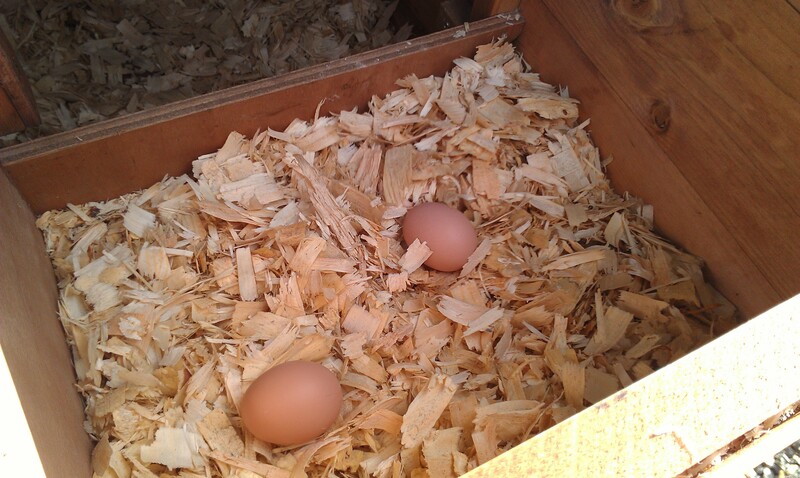 I always had great egg-specations – knew our little chooks would come good! …. And that’s no yolk. Great blog. All yolk-ing aside, I’m seriously considering a competition for the most atrocious egg-pun! What an egg-istentialist moment for you both! 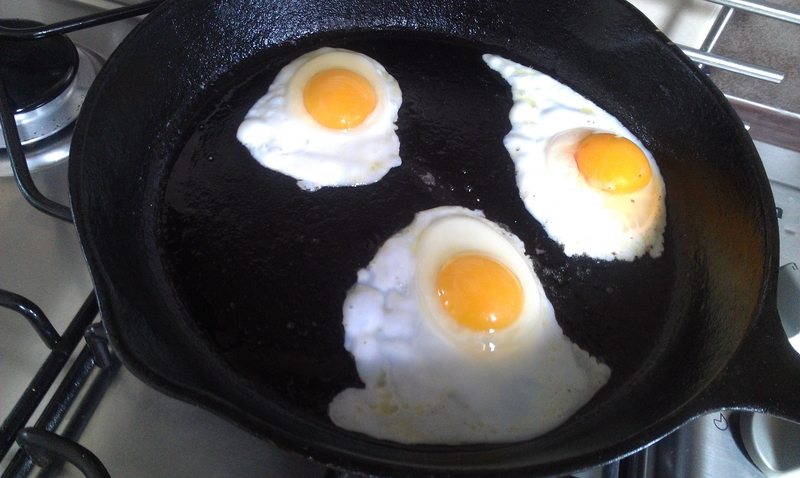 Well done girls, you’ve done egg-ceptionally well! Couldn’t agree more – they are a shining eggs-ample to chickens everywhere!